Al Pacino will be playing Jack "Dr. Death" Kevorkian in HBO's upcoming and unfortunately titled You Don't Know Jack. Actually, Pacino's a pretty good fit for this role, judging from an extended clip shown at the recent Television Critics Association "press tour" in Pasadena. But it got me to thinking. What are the top 10 odd TV movie/miniseries castings of big-name stars as real-life people? You know, the ones that had you thinking, "How the hell are they gonna pull this off? Some actually worked pretty out well. But here's my list of imperfect matches -- on paper at least. 10. Ingrid Bergman as Golda Meir -- No offense to the late, great Israeli prime minister. But she wasn't exactly a looker. 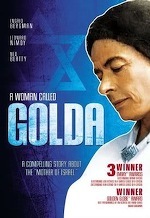 Even so, one of the big-screen's all-time beauties pulled off the title role in 1982's syndicated A Woman Called Golda. Bergman also won a posthumous best actress award for her last screen role. 9. Kevin Spacey as Jim Bakker -- Riveting as bad guy Mel Profitt in a multi-episode arc on CBS' Wiseguy series, Spacey made an odd U-turn to televangelist land in the 1990 NBC movie Fall From Grace. 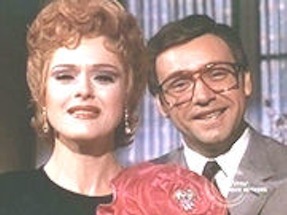 His co-star, Bernadette Peters, was pretty much a perfect fit, though, as makeup-coated Tammy Faye Bakker. 8. Rich Little as Johnny Carson -- He had little more than a cameo in HBO's 1996 movie The Late Shift. But every second was painful, with impressionist Little doing a lame, caricature-istic sendup of the great Carson in a film that otherwise depicted the early 1990s late night wars between Jay Leno and David Letterman. 7. Mark Harmon as Ted Bundy -- It was impossible at the time to imagine one of TV's reigning pretty boys as a sadistic, womanizing serial slayer. But Harmon took the plunge in the 1986 NBC miniseries The Deliberate Stranger. It was the same year he was anointed People magazine's "Sexiest Man Alive." If looks could kill . . .
6. 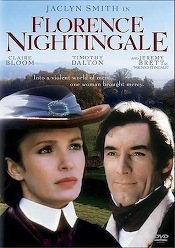 Jaclyn Smith as Florence Nightingale -- Oh please. Still closely associated with Charlie's Angels, Smith was super-laughable as an angel of mercy whose makeup remained perfect in the midst of wartorn soldiers in germ-infested hospitals. NBC released it in 1985, four years after Smith was more believably beauteous as the title character in ABC's Jacqueline Bouvier Kennedy. 5. Richard Crenna as H. Ross Perot -- The diminutive, plain-faced Texas billionaire never had it so good as when still handsome Crenna played him in the 1986 NBC miniseries On Wings of Eagles. The two-parter dramatized Perot's successful efforts to have two of his employees rescued from an Iranian prison following the 1978 revolution. Richard Crenna Jr. played Ross Perot Jr., with Burt Lancaster taking marching orders from Perot Sr. as taut, tough Lt. Col. Arthur "Bull" Simons. 4. 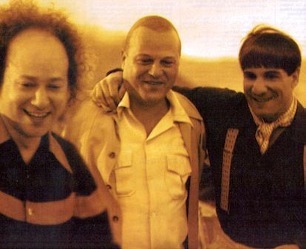 Michael Chiklis as Curly Howard -- It's not that Chiklis didn't look the part. It's just that it's now nigh unto impossible to imagine him playing the "nyuk nyuk," punishment-taking imbecile of the trio in ABC's 2000 The Three Stooges. Just two years later, Chiklis would land the role of a lifetime as punishment-wielding rogue cop Vic Mackey in FX's The Shield. 3. Craig T. Nelson as Ted Kennedy -- I'm still not sure how and why NBC settled on the Coach star to head up this 1986 dramatization of Ted's son, Teddy Jr., and his fight to rehabilitate himself after losing a leg to cancer. Then and now, Nelson looks nothing like the late Kennedy patriarch. And the film made no effort to remedy this very basic disconnect. No muss, no fuss, no makeup, no believability. 2. George C. Scott as Benito Mussolini -- NBC's 1985 miniseries Mussolini: the Unfold Story focused on Il Duce's henpecked domestic life at the hands of wife, Rachele (Lee Grant). Wearing a top hat and long coat in some scenes, Scott looked more like Ebenezer Scrooge, whom he had played to great effect a year earlier. Some critics, including this one, dubbed NBC's treatment "Lifestyles of the Rich and Fascist." 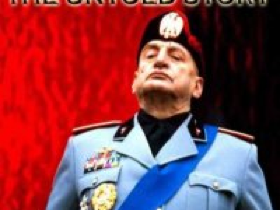 Just two-and-half months earlier, HBO telecast Mussolini: The Decline and Fall of Il Duce, with Bob Hoskins far more suited to the title role. 1. Tom Selleck as Gen. Dwight D. Eisenhower -- Even Selleck couldn't quite believe he'd been asked to play this part. But the quintessential 1980s TV hunk eschewed vanity, shaved his trademark mustache, went bald and threw himself into the role of the distinctly ordinary-looking, WWII Allied Commander. Somehow he made it all work for him in 2004's Ike: Countdown to D-Day, which originally aired on the A&E network. The supporting cast included Gerald McRaney as Gen. George S. Patton. That marked a promotion from his days as Major Dad on CBS.